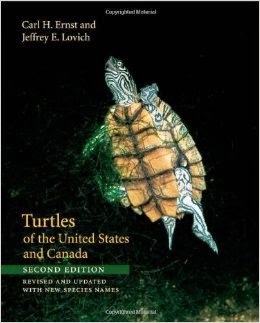 Ernst and Lovich's thoroughly revised edition of this classic reference provides the most updated information ever assembled on the natural histories of North American turtles. From diminutive mud turtles to giant alligator snappers, two of North America's most prominent experts describe the turtles that live in the fresh, brackish, and marine waters north of Mexico. Incorporating the explosion of new scientific information published on turtles over the past fifteen years — including the identification of four new species — Ernst and Lovich supply comprehensive coverage of all fifty-eight species, with discussions of conservation status and recovery efforts. Each species account contains information on identification, genetics, fossil record, distribution, geographic variation, habitat, behavior, reproduction, biology, growth and longevity, food habits, populations, predators, and conservation status. The book includes range maps for freshwater and terrestrial species, a glossary of scientific names, an extensive bibliography for further research, and an index to scientific and common names. Logically organized and richly illustrated — with more than two hundred color photographs and fifty-two maps — Turtles of the United States and Canada remains the standard for libraries, museums, nature centers, field biologists, and professional and amateur herpetologists alike.